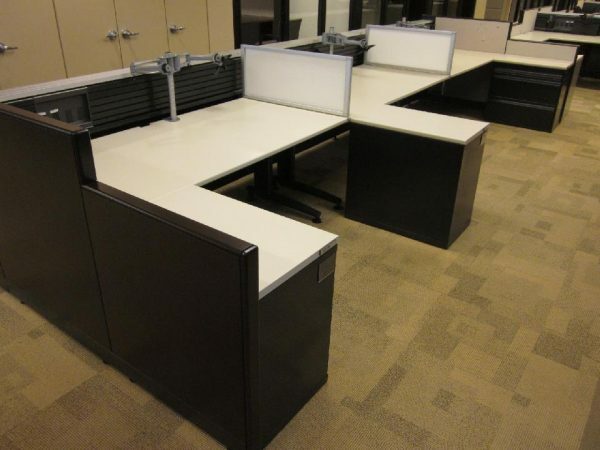 Used Knoll Currents cubicles with Knoll Reff panels. These station are in very good as-is condition. L-shaped worksurface configuration with 2-drawer lateral for storage. There are 100 of these stations available but due to the current configuration, we are selling them in larger groups. The Panel height promotes a totally open office feel which gives employees the ability to communicate with each other. each station has a slat wall which can support a variety of work tools.